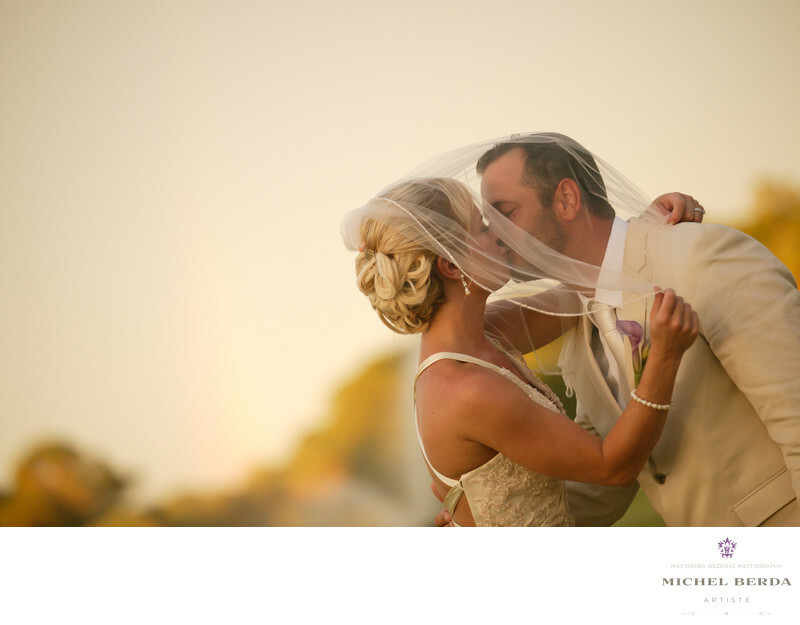 There is something special about a couple that have such a passion for one another, this is where I captured this beautiful images in Hilton Head South Carolina at Sea Pines Resort. This uniques resort has so much to offer to any wedding clients, a beautiful beach, 18 hole golf course and bike path, a lighthouse. As I get on the property, I am always reminded of how warm and inviting this venue is, I had just photographed the couple wedding ceremony and it turned out to be a rainy day, but by the moment the reception started, the clouds moved away, and the sun started picking threw. I quickly has I do when I am in a situation like this, asked the couple if they wanted to go on the green lawn of the golf course of Sea Pines Resort in Hilton Head, Sc, and get just a few photos since they really needed to be with their friends and family, they said yes. I quickly stepped out and captured this amazing image. The couple were told to be themselves natural, well I did ask for them to put the veil over their heads, I got real low with my long zoom lens and included the beautiful trees that are on the property of Sea Pines Resort. I left the negative space empty and I love that, as your eye goes to the couple the minute you see the image.Keywords: Destination Wedding Photographer (117), Hilton Head Sea Pines Resort Wedding (9), sc (309), Sea Pines Hilton Head Sc (21), Sea Pines in HHI Weddings (21), Sea Pines Resort Wedding in Hilton Head Sc (21), Wedding photographer In Hilton Head (66), Wedding Photographers (198), Wedding Photography (123), Weddings (168).